Mint Velvet offers luxury women’s clothing that combines modern silhouettes with luxurious fabrications. Their goal is to create a relaxed style of women’s fashion. 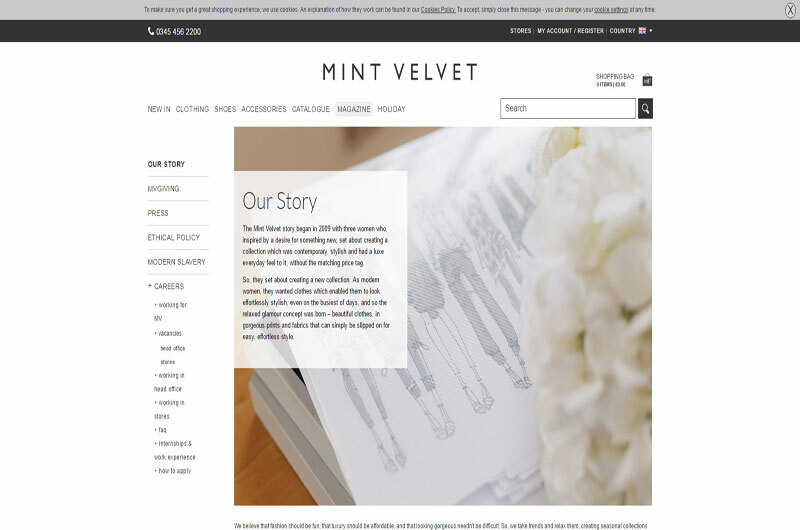 The Mint Velvet brand began in 2009 with three women who, inspired by a desire for something new, set out to create a collection of clothing that was modern, stylish and had a luxury, but day to day feel about it. It also had to be about affordable clothes and fashion. The aim of South West Profiles is to showcase the best of the region. We'll include top companies, projects, websites, professionals and more. © South West Profiles - for Cornwall, Devon, Somerset, Bristol, Dorset, Wiltshire and Gloucestershire.